Matlho bula dikgapha o bone! Ke noga matlakalo a tloboga! A witty self-praise poem about a poet who tries to remember the good old Tswana poetry days. The poem talks about poetry and what it does to human life. It also talks about how one can be physically poor but rich in mind. The poem raises an alert about people opening up their ears, minds and souls to pure Tswana poetry since it’s now decaying or rather fading away. In other words, the poem preserves the dying art. It used to be in our everyday life and it made people happy, which it still does now when displayed to a crowd yearning to go back in time. It is created to make the audience time travel through thoughts to remember what smiles it used to put on their faces. 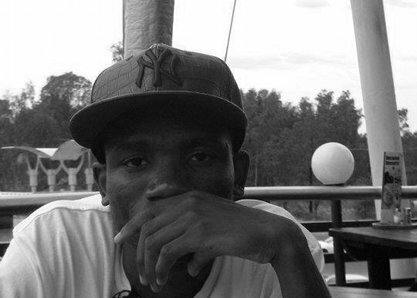 Keneilwe is a web and mobile application developer, poet and rapper from the town of Kanye in Southern Botswana. He’s one of Botswana’s sprouting talents. This twenty four year old has performed at various open-mics and school talent shows in Gaborone and Kanye. In November 2010, Keneliwe performed in a poetry event dubbed Unfolding the Scrolls: Chronicles of the Poets – Part 1 organized and hosted by Poetavango Spoken Word Poetry in Maun, Botswana.